Property Brokers are a high profile, national – non-main centre - proudly regional real estate agency. The owner, Tim Mordaunt, approached DGSE when looking to build a new flagship head office in Palmerston Norh. The brief required a shift away from the traditional model of how a real estate agency should operate. The individual offices of competing agents created barriers to a positive workplace environment. 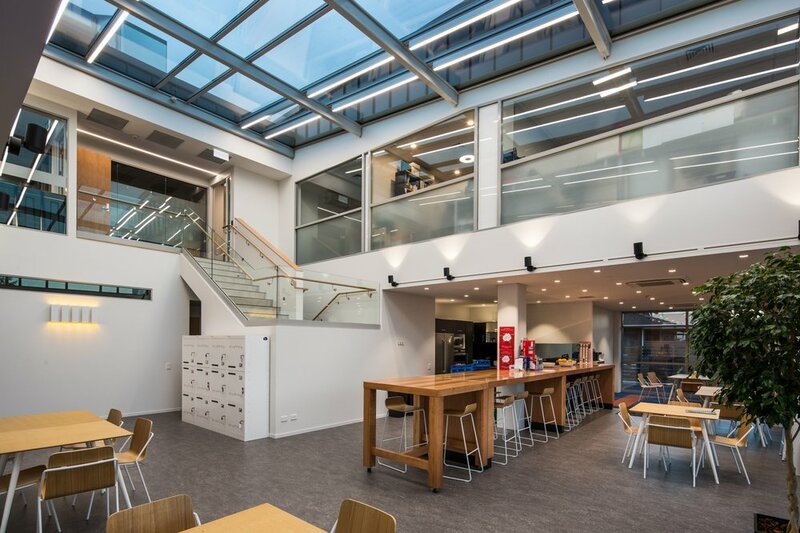 DGSE’s brief required a new open plan format, break out spaces and new shared staff spaces to encourage and nurture relationships across teams and departments and foster the positive office culture the business was renowned for. The architectural response is both bold and subtle. The immediate vicinity has undergone somewhat of a renaissance and DGSE’s design needed to respond to and improve on the work already done. 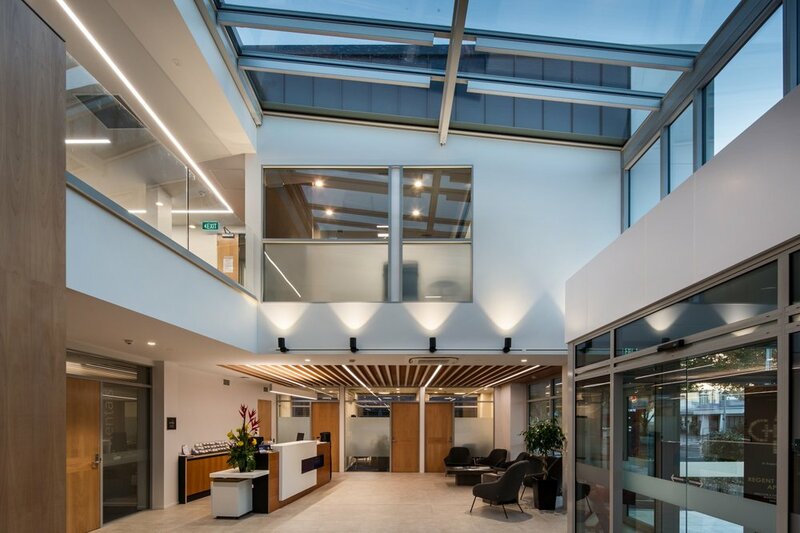 The ground floor entrances on both end elevations are open and transparent, welcoming the public and staff into double height glazed atriums that allow views and connections into the normally closed world of real estate. Office spaces are bright, open, modern, and highly efficient both in terms of space and operation while smaller insular meeting spaces offer the opportunity for private negotiations to be held in confidence. 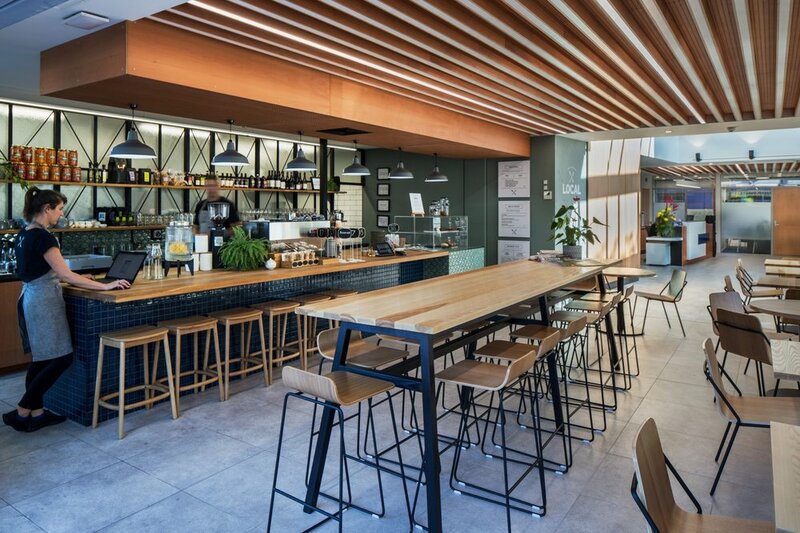 The Broadway frontage includes a new public café thoughtfully integrated into the design of the base build work. 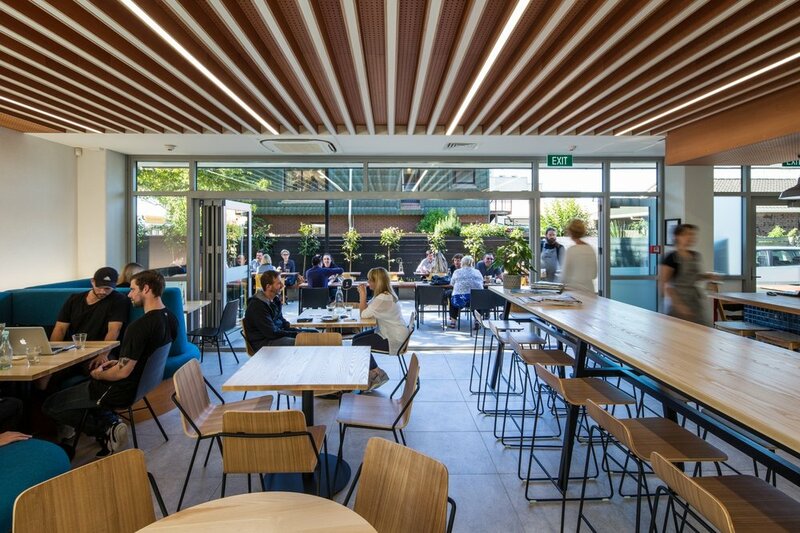 The café offers Property Brokers staff a vibrant social alternative to their private staff room and provides an attractive option for client meetings being held on site.